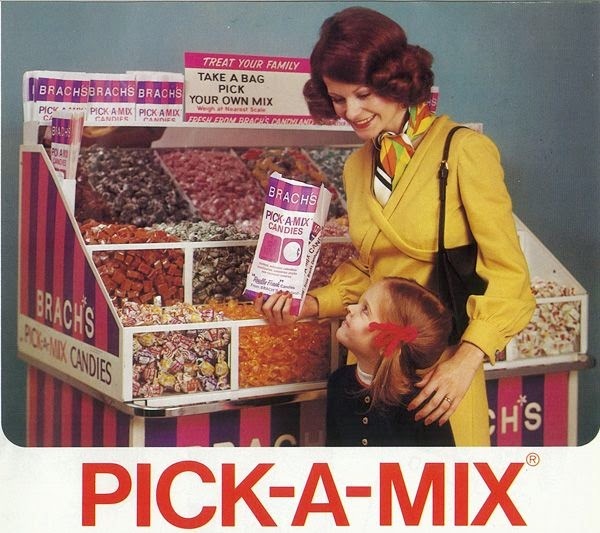 You got a little paper bag, like the one in the ad, and filled it with an assortment of your favorite candies. It was weighed at the checkout. 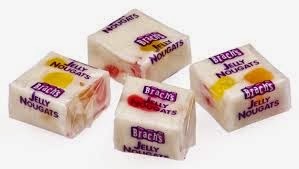 My favorite of the Brach's candies were the Nougats. I haven't had these in years! I also really liked the Neapolitan candies. They reminded me of my favorite three stripe coconut candy bars. My Mom or Dad must have liked these Royals, because we always had some of these in the Brach's bag. 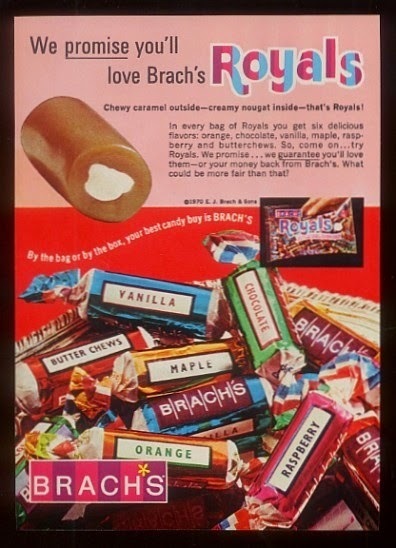 Do you remember these Brach's assorted candies? Which ones were your favorites? 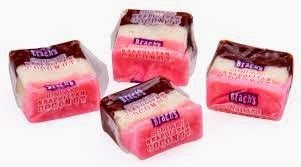 I loved the Neopolitan coconut ones and the Royals, but I only really liked the chocolate ones. They had one of these bins in the grocery store where I worked back in the mid to late 60's. Karen, I loved the chocolate Brach's too. I also remember the little orange gumdrop slices -- those were another one I loved as a kid. The Royals :-) I loved those striped coconut candies too! Thanks so much for this memory!